Elon Musk, founder of SpaceX and co-founder of Paypal, Tesla and Zip2 has announced that he is planning to launch 4000 satellites in order to provide Internet all over the globe; especially at remotest parts where technology hasn’t yet reached. As per reports, Elon Musk has already written to Federal Communications Commission (FCC) seeking permission to launch these satellites, and change Internet coverage for ever. Although satellites are not a new technology, Elon Musk is attempting to launch low Earth orbit satellites, which will be placed at a distance of 650 kms from Earth’s surface. This means that the huge latency over space connections would be removed, and people would be able to access high speed Internet easily. As these satellites would be low-Earth, and revolving at slower speeds, SpaceX has determined that 4000 satellites would be required to cover the whole Earth. Once this request is approved, SpaceX will convert from a rocket company to a global Internet service provider, taking on the might of Verizon, Comcast, and other ISPs across the world, including Reliance, Airtel and Tata in India. Launching 4000 satellites, over a period 5 years is certainly not an easy task. In the past, several billionaires have tried to break the code of using satellites for global Internet reach, but all attempts have foiled. For instance, in early 1990s, Bill Gates and Saudi prince Alwaleed bin Talal launched a company called Teledesic, which attempted to launch 840 low Earth orbit satellites at a distance of 700 kms to provide high speed Internet all over the world. After spending close to $9 billion, the project was slowed down, as the feasibility of the whole idea seems unrealistic. In 1997, the project was scaled down to 288 active satellites at a distance of 1400 kms; but this won’t be good enough to provide Internet on laptop and mobile at low cost. On October 1, 2012, Teledesic was officially suspended. Earlier, Iridium Communications also attempted to perform similar satellite based Internet communication, but right now, it is being only used by US Defense purpose. They have 66 active satellites, which cover the Earth, and transmit Internet connectivity. Commercially, this project was a failure. As per Wired Magazine, there are no winners in the fight for providing Internet via satellites. 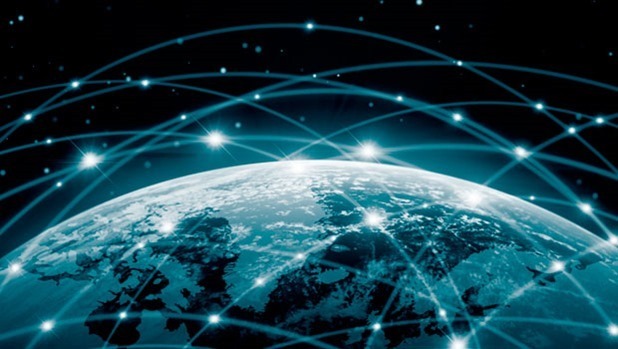 OneWeb, which is a similar project to provide high speed Internet across the world using a constellation of satellites, is backed by Richard Branson, founder of Virgin Group. Richard has asked Elon Musk to partner with OneWeb, as they both are attempting a similar feat, and success chances are high if they work together. Greg, a former Googler, is the person behind the whole idea of OneWeb, and they have formed global partnerships, which also includes Bharti Airtel from India. As per their projections, OneWeb will require close to $3 billion to launch 1000 such satellites. "Elon Musk Will Launch 4000 Satellites To Provide High-Speed Internet Across The Globe", 5 out of 5 based on 12 ratings. Musk et al posturing SpaceX as an internet company which at first is a rocket company is quite an interesting notion. So, what really does it take to think globally??!! If anyone can succeed in doing this, it’s Elon Musk. Probably not in the timelines he hopes for, but he’ll get it done. Elon Musk has become the new Steve Jobs. His vision is great and the work he is putting in front of the world is also awesome. 4000 satellites is a big number by the way and if this really takes place then it would be beneficial for the internet users. So cheers for Musk.